Juan is an opium farmer in the Sierra Madre Occidental, a mountain range in Mexico. Like his father and grandfather before him, he manages a two-acre plot of poppy flowers. Twice a year, his family harvests paste from these poppies and sells it to middlemen working for the Sinaloa cartel. The cartel processes opium paste into heroin and traffics it north to the United States, where 652,000 heroin addicts await its arrival. But business is not at as good for Juan and his neighbors as it was when he was young. Poppy cultivation in Mexico reached a record high at 109,000 acres in 2017. That is an area as big as New Orleans and large enough to produce enough opium paste for 111 tons of heroin. But according to Juan, the price of a pound of opium paste has crashed from $835 to $225 in recent months. “It’s still selling, but at a very low price,” Juan told ozy media. Farmers like Juan are having a hard time making ends meet at these prices. In the past, they could charge what they wanted, and U.S. addicts would pay. But today, opium farmers face stiff competition from Chinese pharmacists pushing cheap, synthetic opioids. Fentanyl is a synthetic drug similar to heroin but 50 times more potent. Since fentanyl can be manufactured in small labs, it is 30 percent cheaper to produce than farm-grown heroin. And since it is so much more potent, it can be sold on the streets for twice as much as heroin. So, Mexican drug cartels are paying opium farmers less and are instead fighting each other for control of Mexico’s two main Pacific ports, Lázaro Cárdenas and Manzanillo. These are the main points of entry for precursor chemicals from China. The rise of synthetic drugs is changing the structure of the illegal drug market. In the past, powerful cartel bosses like Joaquin “El Chapo” Guzmán reigned like feudal lords in the Sierra Madre Occidental. They oversaw thousands of Mexican peasants slaving away in the fields growing cannabis, coco and poppies. Their men trafficked marijuana, cocaine and heroin into the United States. These drugs are labor-intensive to produce, so it takes centralized cartels to coordinate their production and distribution. Now that Guzmán is in jail, his cartel has split into warring factions. The leaders of each of these factions desire to bring the others under their control and emerge as Mexico’s new drug kingpin. But since synthetic drugs can be produced cheaply from precursor chemicals, it is now much easier for upstart cartels to challenge the status quo. The days of the monolithic cartels with powerful leaders may be over, as dozens of small cartels war with each other over the right to traffic Chinese synthetics from Manzanillo to the U.S. border. In other words, the new El Chapo is Chinese President Xi Jinping. Unlike El Chapo, Xi does not admit to being a drug lord. The Communist dictatorship has almost no laws governing the export of fentanyl, however, which has led to 40 percent of the world’s pharmaceutical output coming from China. Journalists often excuse China’s government for shipping fentanyl to Mexican cartels, blaming corrupt local officials instead. But they forget, or ignore, the fact that Chinese law is whatever Xi and the Communist Party say it is. It would be easy for China to regulate fentanyl, but it willingly ships this dangerous drug to Mexican cartels, feeding America’s illicit drug addiction and destabilizing America’s southern neighbor. Chinese leaders understand the devastating effects narcotics have on a nation. The opium wars of the 1800s involved thousands of tons of opium pouring into China, which addicted millions of Chinese, devastated their economy, and contributed to their military loss against the British Empire. In 1927, a civil war erupted in China between the Communist Party and the Nationalist Party. Communist leader Mao Zedong instructed his subordinates to grow poppies, create opium and traffic it into the non-Communist regions of China. As drugs became more readily available, people more readily used them. Opium weakened drug users, the people around them, their societies, their governments and their militaries. The Communists then conquered the area—and took draconian measures to stamp out drug use, destroying poppy fields, imprisoning millions and executing suspected traffickers. After the Communist Party conquered mainland China in 1949, Mao nationalized opium production and started using narcotics as a chemical weapon to destabilize his rivals, Japan and the United States. 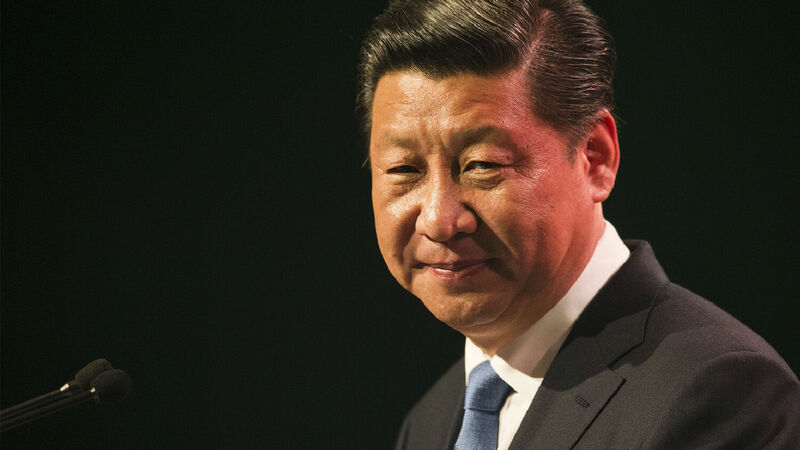 By turning a blind eye, at the very least, to Chinese fentanyl traffickers, Xi Jinping and the Chinese government reap the benefit of waging drug warfare against America and weakening the nation. Over 130 million Americans have sniffed, smoked, swallowed or injected themselves with drugs for so-called “recreational” purposes. Almost 30,000 Americans overdosed and died from fentanyl and fentanyl analogs in 2017, making the synthetic opioid the deadliest drug in the nation. And the death toll rises every month. The Chinese Communist Party and Mexican cartels are facilitating and profiting from America’s self-destruction, but the blame ultimately lies with the depravities of the American people. Drug pushers may be putting this chemical weapon into the hands of Americans, but it is Americans who are using it on themselves. Mexican cartels and Chinese labs would have no effect on American society if people knew and clung to God’s laws of morality and health. But the American people have rejected God and given themselves over to pleasures they know are destructive. And those who are not drug users fail to eradicate, continue to tolerate, and have surrendered to the effects of this chemical weapon on society. Drug addiction, crime, gang violence and family breakdown are tearing the United States apart from within. Some argue that the solution is to legalize and regulate drugs so that people can indulge their addictions and get high “safely.” But those who are devoted to bringing down America know that pushing drugs into the hands of an enemy is an effective way to destroy it. Drug use has not brought freedom. It has enslaved many to a destructive habit and allowed criminal organizations to overrun large portions of the country. “They promise them freedom, but they themselves are slaves of corruption; for whatever overcomes a man, to that he is enslaved” (2 Peter 2:19; Revised Standard Version). More Americans are now dying from drug addiction each year than died during the entire 20-year Vietnam War. It is destroying the willpower of generations. Only repentance can dismantle America’s culture of escapism and turn people to God’s pure, wholesome, happy way of life. For more information, please read Trumpet editor in chief Gerald Flurry’s free booklet No Freedom Without Law.